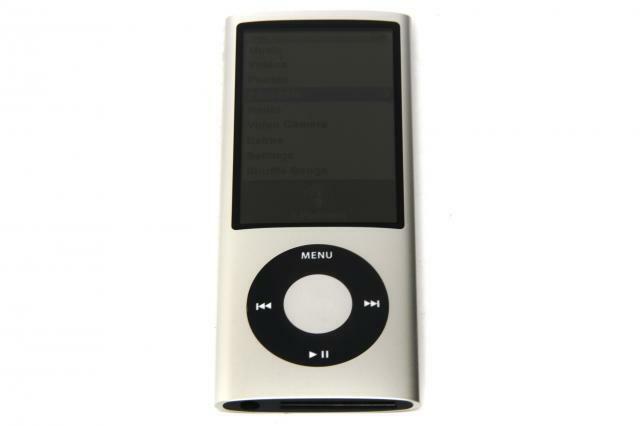 The Apple iPod nano took out top honours for its continued evolution and refinement. This year has seen an evolution rather than a revolution in the MP3 player space, with models from Apple and Sony being refined instead of redesigned. We've rounded up our top picks of the MP3 players/portable media players we've reviewed throughout 2009. The Apple iPod Nano is a fantastic example of how to just do it right. The long-serving click wheel remains and the instantly recognisable menu system means it's the work of seconds to get music playing. The addition of an internal speaker and FM radio rounds out the device's capabilities, while video recording is a novelty that might even get used once in a while. The Final Word: Though retailing at the same price point as the previous generation, the fifth-generation iPod Nano offers a swag of new features, including video recording and an FM radio. Let's be honest — the main reason we're applauding the Sony Walkman X-Series is its wonderful screen. OLED technology holds great potential for future devices and we hope it will make a bigger impact in 2010. The X-Series' noise-cancelling technology is also superb, making this player a great choice for travellers and multimedia enthusiasts. The Final Word: While it is certainly on a par with the Touch in terms of audio and video quality, the Walkman just doesn't have the iPod Touch's readily available plethora of apps and accessories. A lower price would have given the Walkman the edge, but still it's a high-quality alternative to the iPod Touch. The Cowon S9 is another example of a product with great media playback credentials. A high quality screen and good audio quality with a versatile EQ means the Cowon S9 is an easy choice for anyone looking for an accomplished media player that's not from the Apple or Sony power-houses. The Final Word: If you’re looking for a portable media player with exceptionally good audio and video quality, and the added bonus of native XviD support, the Cowon S9 is the one for you. It doesn’t have the design flair or great interface of the Apple iPod Touch, but overall it is an impressive product. We know we'll probably get in hot water over this, but we really appreciate the iPod shuffle's attempt at moving away from the boring-ol'-button paradigm for MP3 players. The Shuffle broke new ground in bringing VoiceOver tech and a novel button-clicking system to the masses. The Final Word: If you are the type of person who will simply switch on your iPod and let it play, then the new iPod Shuffle may appeal to you. As it stands, though, Apple’s latest music player is too small, uses a frustrating control system and doesn’t allow flexibility when it comes to third-party headphones. Like the Apple iPod Shuffle, the Sony NWZ-W202 changed things up a little. Zappin tech — an aural shuffle mode that plays a few seconds of each song — means choosing a song is easy without the hassle of looking at the player itself. The Final Word: Sony’s NWZ-W202 MP3 player has a combination of the novel Zappin shuffle technology and a unique form factor to set it apart from the crowd. While this approach may gain some fans, it also alienates those who want to use different earphones or who want more control over their music.